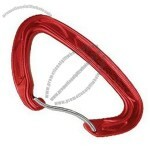 The Orbit Wire is available in both straight and bent gate versions. 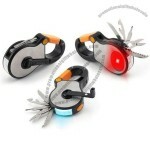 The lightest biner in its size - only 30 grams! 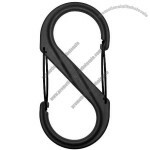 Also available in a bent wire version for easy clipping. Wire gate for weight savings. 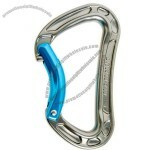 Great for alpine climbing and long free ascents far from the roadside crags. Forged construction puts the load bearing material where it counts for strength. 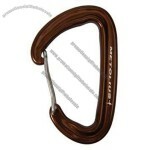 Provides excellent rope-bearing surface area for smooth, rope-friendly climbing. Individually tested. 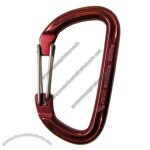 The BiWire is a totally new type of wire gate carabiner. 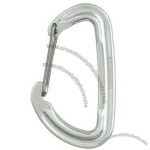 This patent pending design features an outer gate in addition to the normal inner gate. The outer gate protects the inner gate and prevents the rope, or other objects, from opening it. 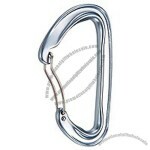 Mammut's Bionic Evo Key Lock Carabiner is the updated version of the original Bionic biner. 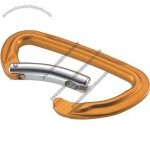 Produced using hot-forged technology, this carabiner has a higher breaking load capacity in a lighter weight package. Without skimping on the details, the Bionic Evo Biner has a straight gate for easy racking, and a keylock nose that won't snag when you're placing pro or building anchors. The new Photon Wire is one of the lightest carabiners in the world (1.022 oz) and is significantly larger than other carabiners in its class. 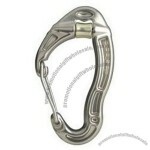 The contoured wire gate offers exceptional clipping action and the massive gate opening makes it great for use on the gear or rope end; on rock or ice; racking gear or building anchors. For the ultimate all-arounder, look no further. 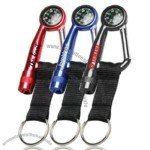 Fun carabiners to attach accessories etc. 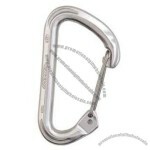 While everyone has been making carabiners smaller and smaller to save weight, CAMP built the full-size Photon Wire Gate Carabiner for a scant 29 grams. 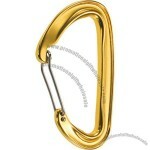 Despite the feather-light weight, this carabiner packs a full 21kN rating, so you can whip with confidence. 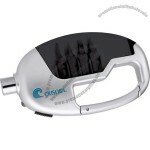 Plus, the full size is easier to clip with gloves on, which makes the Photon a great carabiner for ice and alpine climbing, or any time you want to save weight without having to clip a keychain. Advertise your business on sleek imprinted radio products. 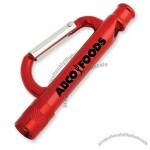 Promotional radio products like these make great gift items. 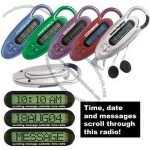 Our carabiner scrolling message calendar clock with FM radio makes your corporate message truly interactive. Your custom programmable 100 character message is easily programmed, and scrolls across the screen while displaying time, date, month and year. FM scan radio features crisp clear sound from provided earphones, and radio features a 2 position volume control. 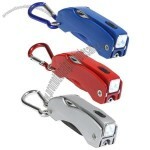 Operates on four button cell batteries (AG13) included. 2-1/2" x 1" x 3/4"
Button cell batteries inserted. Remove battery protector to activate. Imprint is not available on strap. 19 lbs. 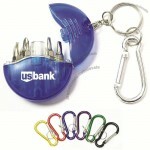 / 250 pcs. Metal screwdriver bits in handy compartment (four flat-head & 4 phillips-head). 24 lbs. per 100 pcs. 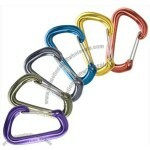 Custom-made Carabiner From China Factory, Low price Carabiner, Top Quality, True wholesale source for original!